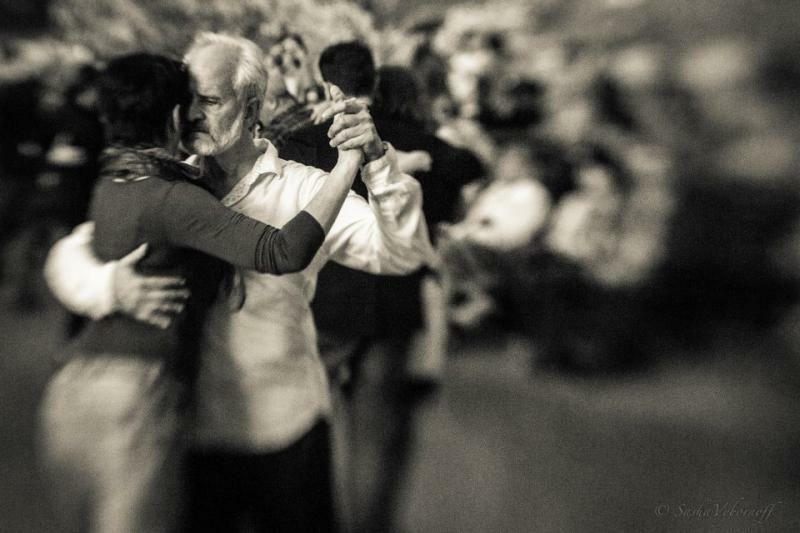 Andrew Kaye began his tango studies in Buenos Aires in 2003. He has studied with some of the greatest talents in the dance today, including Julio Balmaceda and Corina de la Rosa, Gabriel Misse & Natalia Hills, Horacio Godoy, Pablo Pugliese, Monica Paz, Chico and Juano, and Gustavo & Giselle Naveira. From 2012 - 2017 his principal teacher was Tomas Corbala﻿n; he is currently working with Rebecca Shulman. As a social dancer, he has tangoed around the world, from Rio de Janeiro to Rovaniemi, Finland, and from Los Angeles to St. Petersburg, Russia. In Novemember 2009, he and dance partner Svetlana Howells were first prize winners of Haddonfield Tango’s competition, “Dancing in Small Spaces,” judged by Maxi Gluzman and Guillermo Elkouss, both of Buenos Aires﻿. In May and June 2014, Andrew taught tango workshops and private lessons in Astana, Kazakhstan, and in Trondheim, Norway. Andrew is also a university lecturer and gives illustrated talks on tango as well as other subjects in world music and culture history.